Explore the stunning scenery of the Blue Mountains on this one-day adventure that also takes you underground to the fascinating Jenolan Caves. 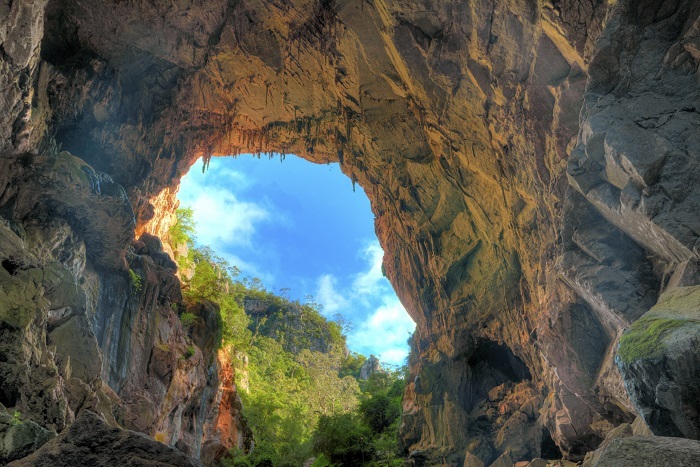 These limestone caverns are full of natural and cultural history, and you’ll be exposed to the dramatically lit chambers as well as the sweeping beauty of the Blue Mountains above ground. Be astounded by the awesome natural scenery on The Blue Mountains and Jenolan Caves Tour. 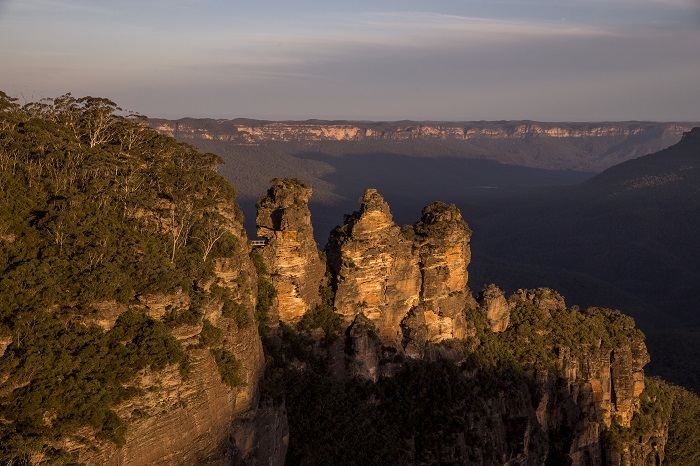 We’ll start by taking you through the beautiful bush landscapes of the Blue Mountains, taking in the jutting peaks and the sweeping, velvet valleys before heading to Scenic World. Here, you’ll have the opportunity to ride the Scenic Railway, the Scenic Cableway and the Skyway (own expense), admiring the Blue Mountains from above. 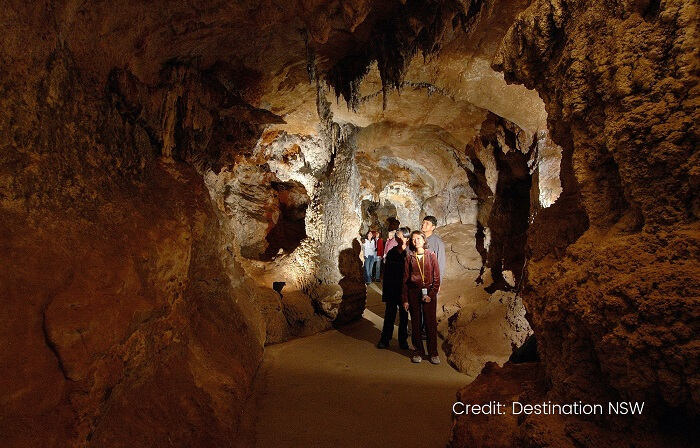 Then we’ll make our way to the Jenolan Caves, an important natural heritage spot in this region. You’ll get to enjoy a guided tour through the cave system, exploring the magnificent Grand Arch and the unique Blue Lake along the way. At lunchtime, we’ll stop off at a bistro for a bite to eat (at your own expense), before heading on to spot some platypus in the surrounding landscapes. Make sure you have your camera ready for this amazing experience! 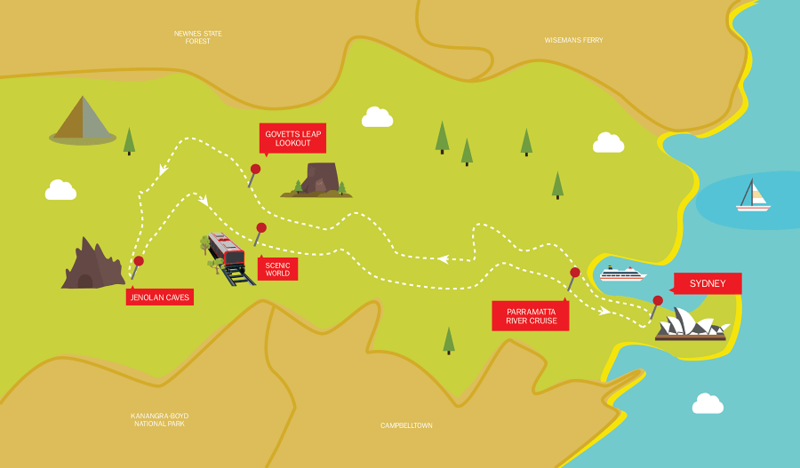 We’ll end the day with a river cruise along the Parramatta River, where you can discover the Blue Mountains from a relaxed, unique perspective. We’ll cruise all the way to Circular Quay in the heart of Sydney, where the tour comes to an end.